Venue: Regency II, Hotel Kenilworth, Little Russel Street, Kolkata. 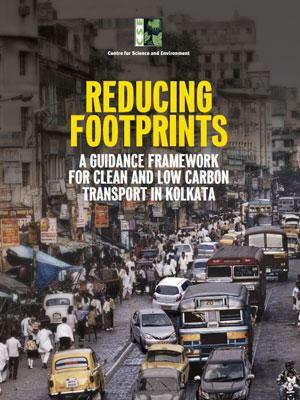 Centre for Science and Environment is conducting a seminar in Kolkata to further push the agenda for transition to low carbon transport in cities including Kolkata. 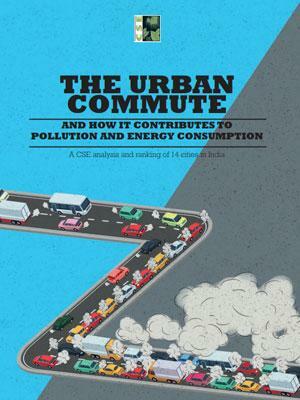 The discussion will be held in the context of results from a study by CSE on “Who Guzzles and Pollutes More: A Report Card on Emissions from Urban Commuting in 14 Cities of India” that will be released during the Seminar. The study involves a comparative and diagnostic analysis of key cities of India to check who pollutes and guzzles more energy than others from urban commuting and what is influencing this difference. These cities include Delhi, Mumbai, Kolkata, Chennai, Bangalore, and Hyderabad – the mega cities - and Ahmedabad, Pune, Jaipur, Lucknow, Kochi, Bhopal, Vijayawada, and Chandigarh as the next rung metropolitan cities. How are our mega cities and rapidly growing other metropolitan cities positioned in terms of energy guzzling and quantum of pollution only from urban commuting? This is a compelling question today as travel demand is growing in cities and motorization is explosive with growing automobile dependence. Cities are facing the daunting challenge of meeting clean air standards, climate mitigation targets and Sustainable Development Goals. Urban commuting is one of the most energy and pollution intensive areas where arresting and reversal of trends in emissions and energy consumption pose a difficult challenge. Yet, without addressing this, no city can meet its sustainability targets. The seminar will present the results of the study as well put forward a roadmap for Kolkata to transition to low carbon transport. Through the seminar, CSE will draw attention to Kolkata’s unique positioning in terms of being a compact, low emission mega-city, the critical need to conserve that and a possible action plan for achieving it. The seminar will feature discussions between key officials of agencies concerned with transport and air pollution in Kolkata, local civil society, academia, industry and public health experts. Who pollutes and guzzles more from urban commute?